Microsoft Press has just released a new eBook in its continuing line of free offerings. Introducing Microsoft Azure HDInsight presents 5 chapters and 130 pages of content covering Microsoft’s foray into Big Data utilizing Apache Hadoop. HDInsight is built on Hadoop 2.2 and Hortonworks Data Platform 2.0. Chapter 1 digs into what Big Data is and how it can be useful as a business tool. 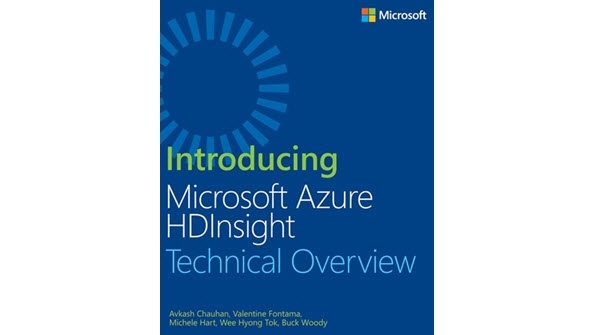 Chapter 2 introduces HDInsight and covers setting up a Microsoft Azure account so that you can learn how to deploy and managed HDInsight clusters in the Cloud or on-premises. In Chapter 3 the book goes into developing for HDInsight including utilizing the included PowerShell cmdlets. Chapter 4 takes a turn to deliver a scenario for an example company to show how to work with the data derived from Microsoft BI, SQL Server, and SharePoint. It also walks through using Microsoft Excel and SQL Server Reporting Services to manipulate the data. Chapter 5 finishes off by digging through the different data layers and giving an overview of how HDInsight can be further customized to continue to provide additional value based on the needs of the business.